AMARILLO, TX (KFDA) - If your new year’s resolution this year was to give back, an event this week will give you the chance to double the goodwill. While you have the chance to save a life by giving blood at the Coffee Memorial Blood Center, the event will also help local schools and students. When you donate blood on Tuesday, you can also vote for an area school to help them with something not in their budget, and help grant a $1,000 scholarhip for a student to pursue a higher education at any college, university, technical or trade school. 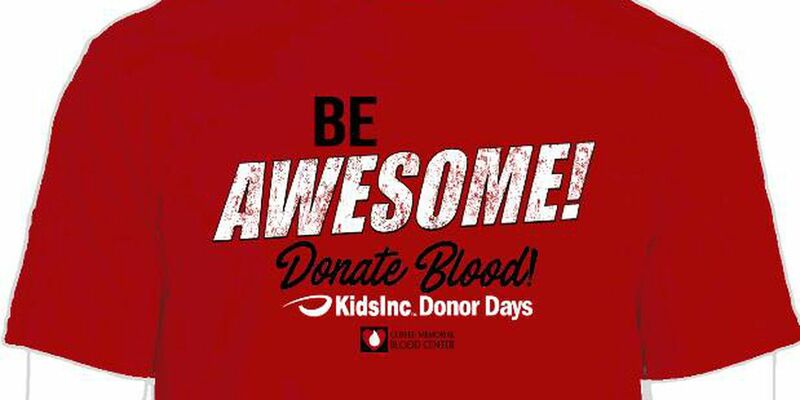 Donors also receive a custom Donor Days T-shirt. Whether you are enrolled in college already or want to go back to school, after donating blood your name will be added in the drawing. The winner will be drawn by the end of the day.